Maryville, TN | Cyndie Cornelius | 865-441-0045 | Great Smoky Mountain TN Real Estate for Sale,Search For Homes and Land For Sale in Sevierville, Pigeon Forge, Gatlinburg , Wears Valley and Townsend. WHY THE SMOKIES? "Your Mountain Real Estate Professionals"
The city is just 20 miles south of Knoxville, and only 20 miles from Great Smoky Mountains National Park. The town is host to Maryville College, a private four-year liberal arts college; Blount Memorial Hospital, a state-of-the-art medical facility; Greenbelt Park, with its more than 11 miles of walking and biking trails; and a multitude of attractions, both cultural and musical. Its revitalized old town area is a center for restaurants, music and shopping. Maryville is also home to the Ruby Tuesday restaurant chain. With a population of 27,258 (2010), Maryville seems a much larger city, as it adjoins the city of Alcoa, so named for the enormous Alcoa Aluminum plant that dominates that city. The Maryville area boasts three employers of more than 2,000 employees; another three with over 1,000; and another five employ more than 500. The Knoxville airport is, in fact, not in Knoxville. Rather, it is just outside Maryville/Alcoa, making it ever so convenient to all the surrounding towns. 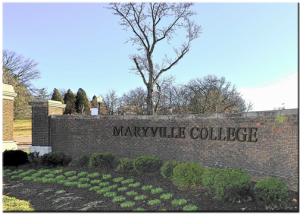 If you like college towns and the cultural attractions that go with them, you’ll love Maryville.